The mod can be downloaded here. 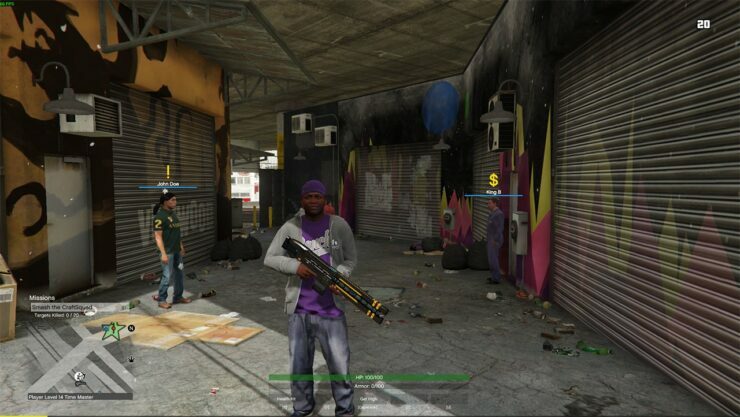 The GTA RPG Mod has an array of characters which you will encounter during your time in the grand city of Los Santos. The relationships you make with these characters will define how the game progresses for you and what missions and options you have in the future. Why just let the main three characters have skills? 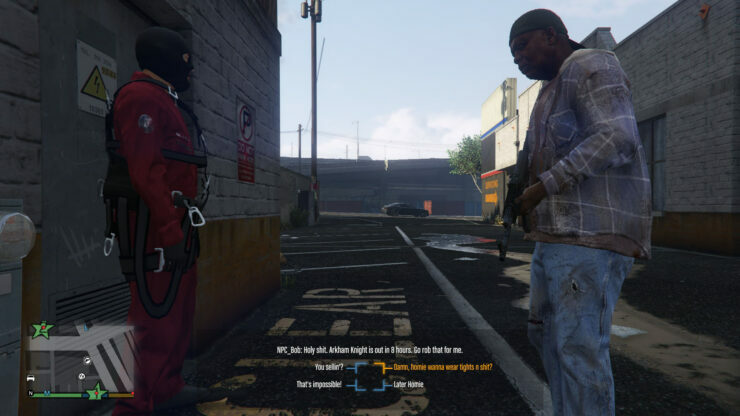 Once you pick your character and their class, you’ll have a wide range of skills that you can use to aid you in your conflicts with other citizens of the city. Speed around the city in a turbo-boosted car. Become invulnerable. 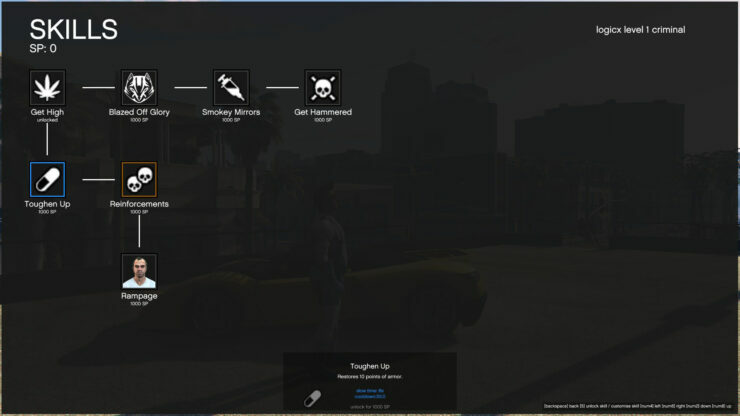 There are many skills to unlock in GTA RPG! 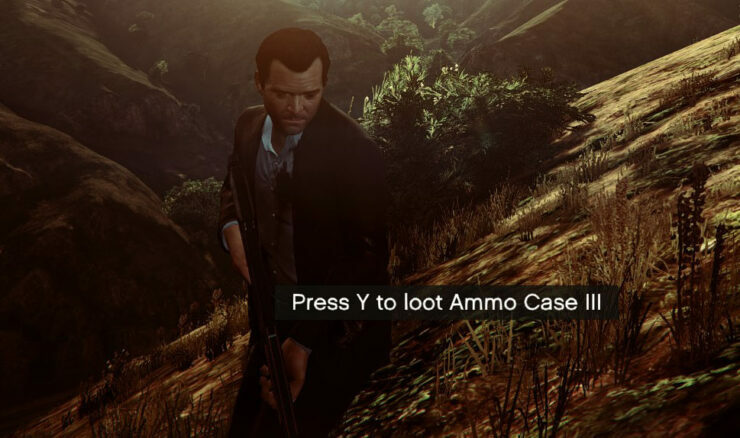 What’s a great RPG without tons of loot to find? 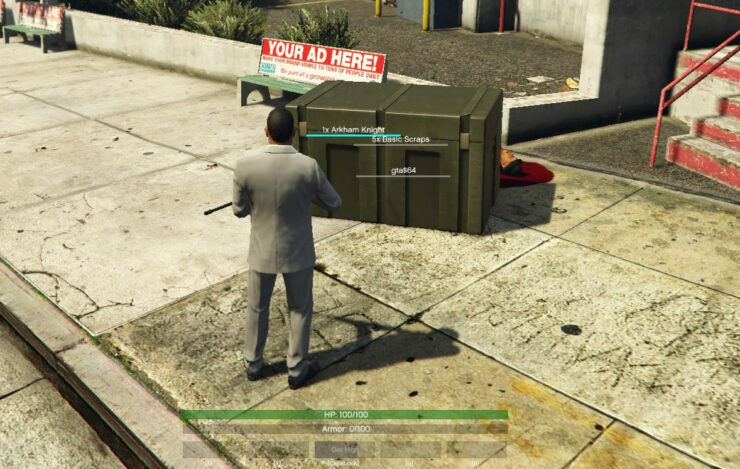 You’ll be able to find loot from killing random enemies, completing missions and soon… custom made heists. There’s tons of loot to find, and you may find some of it will even unlock new abilities and missions. ..
There’s no need to worry about playing this alongside the default GTA experience. When creating your character just choose to play the original trio, and you’ll get all the benefits of the GTA mod with Micheal, Franklin and Trevor. How can you go wrong with more missions? 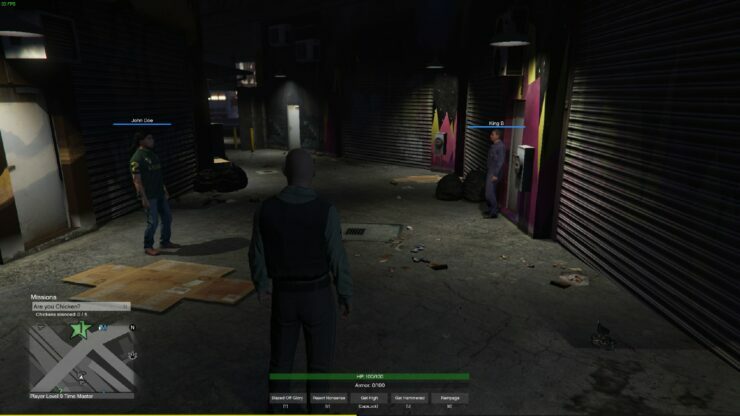 We will bring you any new information on GTA V, new mods and more as soon as it becomes available.